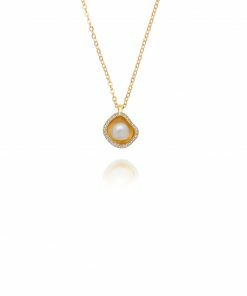 The stunning Kimberley Lily petite pendant, featuring a beautiful Australian South Sea Keshi Pearl from Cygnet Bay in a unique 9ct or 18ct yellow gold design. This collection draws its inspiration from the stunning natural lily varieties found throughout the rugged and remote Kimberley region of Northern West Australia. Having one of the single most impressive ranges of native lilies in the world, with over 3,500 varieties recorded. A new species of lily was discovered on the 25th of March 2015, and was named Peony Flora. 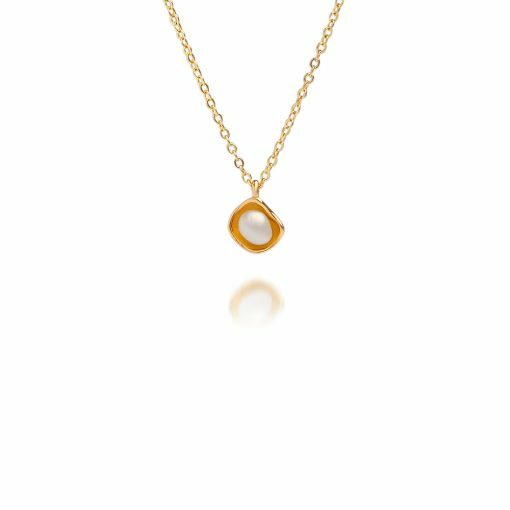 The Kimberley Lily collection tells a story of a single monsoonal droplet plummeting towards the earth; falling onto a lily pad, the leaf moves to cradle the droplet, this imagery frozen post impact. 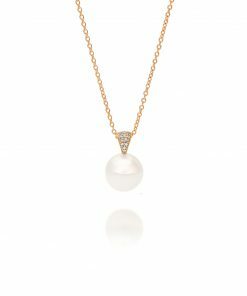 The bead of water, with its mysterious reflective qualities, appears to the poetic eye as a pearl cupped, in its fall from heaven, could it be a tear from Venus herself? IMPORTANT NOTE: Chain not included. 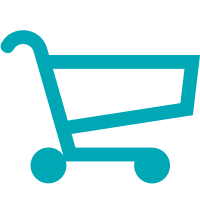 All pendants come with a display chain for packaging purposes only. See our Accessories section for chain and band options. IMPORTANT NOTE: Photo Indicative only. Due to the unique nature of Keshi pearls, also known as seedless pearls, every pearl is unique hence the pearl shape will vary from piece to piece. All Keshi pearls used in the Kimberley Lily Collection range from 5-8mm in size. 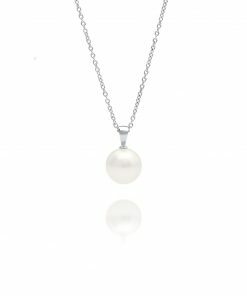 For images of the piece currently in stock please do not hesitate to call our Pearl Consultants for more information on 08 9192 5402.